Catch a Trolley to the Westerville Area Chamber of Commerce Music & Arts Festival! 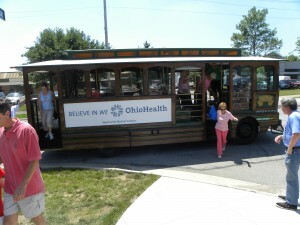 We will have one OhioHealth trolley running this year. * There will be no trolley running from Uptown Westerville.